Real Madrid have a total of €300 million to spend in the summer transfer window, reports Marca. Edin Dzeko remains Chelsea's prime striking target before the January transfer window closes, but a deal has been delayed by Roma. Chelsea have agreed many parts of the deal to sign the former Manchester City striker, but Roma are looking for a replacement before sanctioning the Bosnia-Herzegovina international’s transfer. The Blues have alternatives to Dzeko, with Tottenham's Fernando Llorente and Arsenal's Olivier Giroud being considered as more ambitious targets for a January move. Aymeric Laporte has been left out of Athletic Bilbao's matchday squad for a contest against Eibar on Friday, with Manchester City reportedly closing in on his signing. The 23-year-old centre-back has been a regular for the Basque side this term, playing 19 times in La Liga. Read full transfer details here! West ham have completed the loan signing of Inter midfielder Joao Mario. The 25-year-old becomes David Moyes' first signing as Hammers boss, joining the London club until the end of the season. Paris Saint-Germain coach Unai Emery has moved to quash rumours that Neymar could be in line for a summer move to Real Madrid. Reports have suggested the Brazil star has become unhappy in Paris, even perhaps regretting leaving Barcelona for the French capital club in a move that made him the most expensive player of all time. Additionally, Goal revealed that Neymar has a gentlemen's agreement with the PSG board which will allow him to leave for Madrid should he help deliver Champions League glory to the Ligue 1 champions. Emery, however, insists his star attacker is going nowhere. Leon Goretzka's arrival at Bayern Munich next season does not mean Arturo Vidal will leave the Allianz Arena, according to Jupp Heynckes. Goretzka's switch from Schalke was finally confirmed last week, the 22-year-old agreeing a free transfer to Bayern when his current deal expires in June. The signing of Goretzka has led to some suggesting Vidal could be the one to lose out, with Chelsea reported to be among his many suitors, but the Chile international remains an integral part of Bayern's squad. Paris Saint-Germain winger Lucas Moura has agreed terms on a four-year deal with Tottenham, RMC Sport reports. The French outlet claims a move could be wrapped up as early as next week, with Spurs only having to thrash out the finer details of a fee with the Ligue 1 champions. Roma are considering a move for Celtic striker Moussa Dembele, according to Italian website asromalive.it. Dembele has been linked with a number of clubs this winter, including Premier League sides Brighton and Crystal Palace, but Roma have now reportedly entered the picture. The Giallorossi are on the hunt for a replacement for Edin Dzeko, who is nearing a move to Chelsea, and Dembele is deemed to be an attractive candidate. Pep Guardiola says there is still work to be done before Manchester City can bring in fresh faces amid reported interest in Athletic Bilbao defender Aymeric Laporte. The runaway Premier League leaders, who travel to Cardiff City in the FA Cup on Sunday, are seeking to strengthen at the back and have identified Laporte, who has a €65 million release clause, as a prime target. Goal understands that the Frenchman has informed Athletic of his desire to join City, and has agreed a deal in principle with Guardiola's side. Chelsea are ready to make a shock bid for Arsenal striker Olivier Giroud, claims the Mirror . Giroud had been expected to move to Dortmund as part of the deal that brings Pierre-Emerick Aubameyang to the Emirates Stadium. But with talks stalling in Germany, the Blues could swoop themselves if their own negotiations with Edin Dzeko failed to yield results. Mesut Ozil looks “ready to commit” to a new Arsenal contract, says Arsene Wenger, with the Gunners boss cautiously optimistic that a deal will be done. The Germany international is yet to extend his stay at Emirates Stadium past the end of the season and will drop into the free agent pool this summer if no fresh terms are agreed. Arsenal have already seen Alexis Sanchez head through the exits after failing to resolve his future, and the Premier League heavyweights are eager to avoid a repeat with another key figure. Antonio Conte insists he is "happy" at Chelsea, despite reports of his own disappointment at the club's transfers. 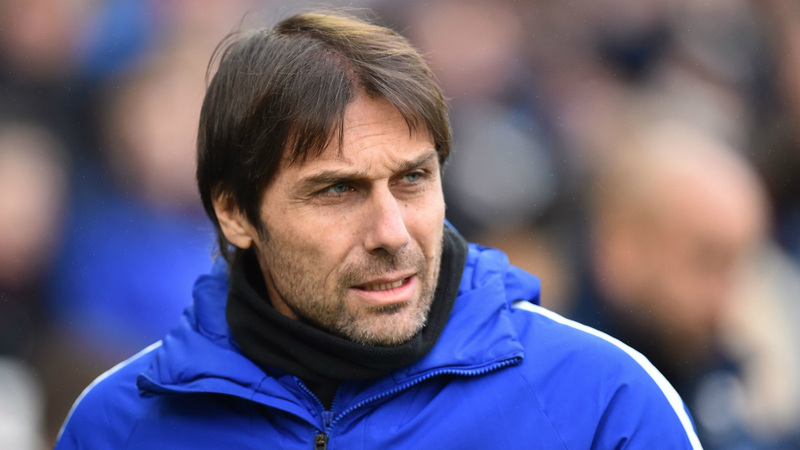 Conte has suggested in the past that he "does not have a big impact" on the deals done by the Blues, and rumours have suggested that he has expressed unease at the investment of Manchester United and Manchester City. On Friday, however, he moved to quash such reports. Arsene Wenger admits a deal to bring Borussia Dortmund striker Pierre-Emerick Aubameyang to Arsenal remains “far from close” as a lengthy saga drags on. The Gunners identified the Gabon international as a top target once it became clear that Alexis Sanchez would be heading out of Emirates Stadium. He has departed for Manchester United, with Henrikh Mkhitaryan moving in the opposite direction, but no progress has been made in the pursuit of Aubameyang. Riyad Mahrez’s recent visit to Arsenal has sparked talk of an imminent transfer, but Leicester boss Claude Puel claims the winger was on a scouting mission. The Algeria international is generating plenty of speculation once again with the latest recruitment window open. Potential moves to Liverpool and Arsenal have been mooted for the 26-year-old , with his presence at Emirates Stadium on Wednesday fuelling rumours that he could be heading to north London. Gremio star Luan has denied that Liverpool have made an offer for his services. Rumours this week have suggested that the Reds have entered into talks with the Brazilian club, as they prepare to trigger his £15.75 million release clause. However, the 24-year-old, who has also been heavily linked with Barcelona, has now rubbished such reports. Kingsley Coman is planning a lengthy stay at Bayern Munich, but admits he could head back to Paris Saint-Germain later in his career. The 21-year-old signed a new contract with the Bundsliga champions in December which is set to take him through to 2023 . Coman has every intention of honouring that deal, but has also admitted to Bild that it is impossible to tell what the future will hold. 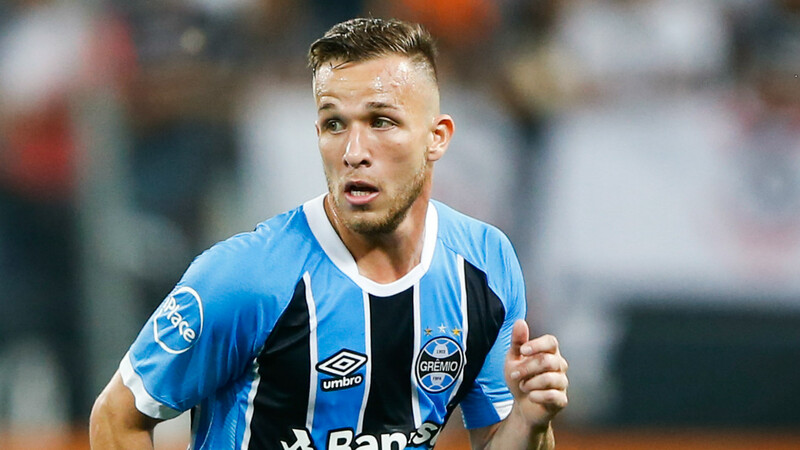 Barcelona have sent a delegation to Brazil to negotiate the signing of Arthur from Gremio, according to Mundo Deportivo . The midfielder has long been on Barca's wanted list, and the club have already agreed terms with the player. Toni Kroos wants Real Madrid to sign his former Bayern Munich team-mate David Alaba at the end of the season, claims Don Balon . Germany international Kroos is reportedly considering leaving Madrid in the summer, and is of interest to Manchester City, Manchester United and Juventus. He is concerned about the competitiveness of the current Madrid squad, but feels the signing of Alaba would go a long way to alleviating his worries. Shanghai Shenhua have made a surprise offer to sign Barcelona captain Andres Iniesta, claims TransferMarketWeb . The Chinese Super League club’s chairman Wu Xiaohui reportedly watched the recent derby between Barcelona and Espanyol, and followed up with an approach for Iniesta. Barcelona have no plans to sell Iniesta and the 33-year-old recently insisted the arrival of Philippe Coutinho won’t see him leave Camp Nou. Cristiano Ronaldo will only be allowed to leave Real Madrid if the Spanish giants sign Neymar, according to AS . The Spanish outlets claims that Ronaldo wants to join Manchester United, but that Los Blancos will only allow that move to happen if the club lands Neymar in the summer. The report also claims that Ronaldo could be used as part of the deal to land the Brazilian star, keeping him from making the jump back to the Red Devils. Jose Mourinho mocked Manchester City's claims they turned away from Alexis Sanchez when it became apparent United were going to land him. “Alexis reminds me a little bit of the metaphor — when you see the tree with amazing oranges at the top of the tree but cannot get there," he said, using an interesting fruit analogy to poke fun at Pep Guardiola's team. “You say, ‘Oh, I got the lower ones because I don’t like the ones at the top’. But you do like the ones at the top. They’re so nice, so orange, so round, so full of juice. But you can’t get there. Read the whole juicy story here! Real Madrid are prepared to sacrifice Gareth Bale in order to land top forward target Harry Kane, reports Don Balon . Bale has been in excellent form since recovering from injury shortly before the new year, and is Madrid's top scorer in La Liga this season. But he could still leave the club in June, with a move back to Spurs a possibility if the Merengue seek out the London club's star. Alexis Sanchez could be in hot water for missing a drug test with Arsenal on Monday, according to the Daily Mail . According to the report Sanchez or Arsenal could be held accountable under the 'whereabouts' rule, with the Chilean having traveled to Manchester to complete a deal with Man United while his whereabouts details showed him as still being in London. A player can face an extensive ban if he has three whereabouts failures in 12 months, though no comment on the situation has been made by the FA or Arsenal, while UEFA have denied any involvement. Chinese Super League side Shanghai SIPG have no interest in signing Paris Saint-Germain captain Thiago Silva during the January transfer window. "We have already had four foreign players in our squad," an SIPG spokesperson told Xinmin Evening News . Borussia Dortmund are growing frustrated at Arsenal's refusal to meet their asking price for Pierre-Emerick Aubameyang, Goal understands. Arsenal have so far made two bids for the Gabon international, but neither has been close to Dortmund's valuation of €70 million. Jose Mourinho insisted Manchester United will not make any more signings before the January transfer window closes amid links with Nice midfielder Jean Michael Seri. The Portuguese boss, who signed a new contract with the club on Thursday , also claims that his side will have a short summer window. Read his full comments right here! Manchester City are holding talks with Fred as the Shakhtar Donetsk midfielder moves closer to a Premier League switch, reports the Manchester Evening News . The Brazilian has been linked to both Manchester giants in this window, but City are now favourites to seal a deal worth around £45 million. The Real Madrid dressing room has closed ranks around Zinedine Zidane as the coach struggles through the worst crisis of his short tenure as Merengue coach. Wednesday's Copa del Rey defeat to Leganes sent shockwaves through the club, leaving an unsightly wound in a Madrid side that is already reeling due to their chronic underachievement in La Liga so far this season. The circumstances of defeat, in front of a bemused Santiago Bernabeu and to a less-than-illustrious rival, only heightens the feeling of disaster around the Spanish capital, with Zidane taking the brunt of criticism for the Copa exit. Liverpool and Tottenham have seen approaches for Javier Pastore rebuffed by the Paris Saint-Germain player, reports Gianluca Di Marzio . The Argentine will only consider offers from Italy, where he spent several years prior to joining PSG at Palermo. Inter have registered their interest, but PSG will only consider a permanent move.